Are you like many online business owners who are confused or stuck when it comes to creating a unique, memorable, and authentic brand? If so, you’re not alone. I’ve been there myself, so I understand the frustration of feeling stuck on this whole branding thing. 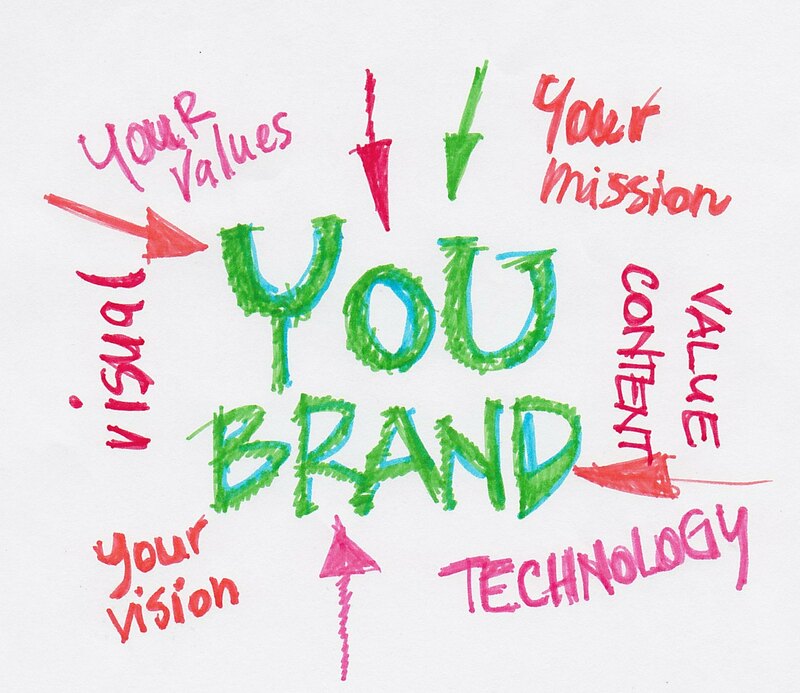 Where are YOU in your brand? But once I discovered that if I looked at it from a completely different perspective, that my brand wasn’t just about my business, but about ME, everything shifted. Creating your brand from the inside out allows you to fully step into your business identity in a truly authentic way. It’s also the easiest way to stand out in the sea of others who do what you do. So, if you’re stuck, let me give you three things you must be clear on in order to create a truly compelling and unique business brand. Strategy 1: What results do your clients experience from your service? One of the exercises I do with my private clients is have them generate a long list of the results their clients get from working with them. If you get stuck, here’s my secret: Send this question to your clients so they can tell you the kind of results you’re helping them create! – I now see the bigger picture and base my decisions on the ‘whole’ of my business, rather than just the next thing. – stretching me in ways and areas that I could/would not do on my own. – more clients, more money and more fun in working with my business. – getting me out of my comfort zone so that I discover what is possible when I play a bigger game. – more clarity and awareness around time sucking activities that I am engaging in so that I can STOP doing them. Strategy 2: What are you an expert at? Once you have a solid and in-depth grasp of the value you bring to you clients and the results you help create with them, you should easily be able to define what it is you’re an expert at. Strategy 3: What does your brand promise? Your brand promise is a statement that is pretty specific. It’s true regardless of the program, product or service you may offer. No matter what the program, product or service, it always fulfills your brand promise. And just to be clear, I’m not talking about your marketing tagline. What I’m talking about goes much deeper than that, to the very core of what it is that you are so passionate about providing to others. So, my Mastery of Business Academy mentoring programs, 21 Easy & Essential Steps to Online Success System and companion coaching groups, and the rest of my offerings all fulfill this brand promise. So everything that Dale offers to her specific market fulfills this overarching promise. Dale knows what she is an expert at and that shows up in her brand promise very clearly. So, what does your brand promise? What is it that your clients can count on you for? One of the ways I see entrepreneurs staying small (and frustrated) is by not being serious enough about how they manage their receivables in their business. Receivables is simply money that is owed to you. For example, there isn’t a business owner I know who hasn’t had at least one client’s payments become an issue, so if this hasn’t happened to you yet, know it most likely will. However, if you have certain things in place, it will be a lot easier for you to handle these situations, gracefully and respectfully. So, let’s take a deeper look at that most common scenario: a client is late with their payment. When you address this with them, they tell you their situation and while you can and should listen with compassion, it’s imperative that you not take on the problems that they’re having and make them your own. That doesn’t serve either of you. While we all can have money issues from time to time, if the client takes no responsibility for it – and yes, even when it seems it’s completely out of their control – then they’re coming from a victim mentality. But you can’t let them make you a victim of their situation as well. First and foremost, ALWAYS listen to your intuition when signing on a client. You’ll only make the mistake once of not doing so before you regret it and realize taking them on didn’t serve either of you. But there are also times when this situation comes up with a great client too. While the money situation is still theirs, for you, it’s a boundary issue. And it’s an opportunity to tighten your parameters and policies too. We need to remember that we are running a business and as a serious business owner, we are entitled to monies owed to us. It’s why having clearly written and signed agreements and a written policies page are so important. So while it’s the client’s responsibility to pay what’s owed, it’s your responsibility to collect what’s owed. This can and should be handled gracefully and respectfully. And it’s as easy as staying detached from their story and creating a plan to handle the situation. If you commiserate, let the payment slide, and/or don’t make a plan on how it will be handled, not only will you start to feel resentful, but you’re also enabling the client to continue this disempowering behavior. This is a perfect opportunity for you to step more fully into being a powerful model and mentor for them. When you’re talking with your client, tell them that you understand that this is a difficult situation for them, and then ask them what they are going to do to resolve it as soon as possible. I know it feels easier to avoid conflict and commiserate with the client, but I have found that if you do that, the situation just keeps happening until you no longer put up with it. When you’re firm on your boundaries, you respect yourself and your business enough so you attract more and more ideal clients who are a joy to work with. I know this to be true. I’d love to know your thoughts on this – it’s a hot-button issue for lots of business owners and clients alike, so please leave your comments below.